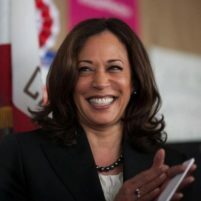 Harris, a first-term United States senator and former California attorney general, announced her run for president on the ABC show Good Morning America. She is expected to deliver a speech announcing her candidacy on Saturday in Oakland, the city in which she was raised. For two decades, Harris worked as a prosecutor in California, serving as the San Francisco district attorney prior to getting elected attorney general in 2010. Harris was elected to the Senate in 2016, in the middle of her second term as attorney general. Though Harris has criticized law enforcement and the United States justice system for having racial bias, she has faced criticism from progressives and advocates of criminal justice reform for her work as a prosecutor, leading some to question whether she can secure the Democratic nomination. Harris has responded to the criticism from progressives by saying the left needs to get over its bias against law enforcement. “I think it is a false choice to suggest that communities don’t want law enforcement,” Harris said Monday on Good Morning America. When asked about the general sentiments of Americans, Harris spoke about the economic hardships faced by workers, particularly federal employees impacted by the current government shutdown. “Those folks don’t want a wall. They want a paycheck,” Harris said of the federal workers foregoing pay. Harris, whose parents met in Berkeley during their involvement in the Civil Rights movement, announced her presidential campaign on Martin Luther King Jr. Day. Harris is the child of two immigrants, as her mother was born in India and her father in Jamaica. Oddly enough there was an article in the trib about this wack job and it wasn’t about boot licking it stated several of her problems as she has been coming up the ranks, I don’t see an easy trip for this one to the White House. But the more that throw their hat in the ring the more divided the vote. Just for a moment let’s consider if Kamala Harris was actually Carmelo Harris. Identical backgrounds except Carmelo is a white male of Italian ancestry. Would be even he in the race? When the focus is on the other party or person instead of what’s best for the nation…then we’ll know. Politicians live a very nice life indeed. they have no interest in living the life they want us to live. Get educated on facts and not on nonsense. The sheeple will love her. She is infinitely more qualified to run the country than the current occupant of the White House whose previous claims to fame were several failed businesses—saved only by the $480 million he inherited from his father—and a stint as a reality show host, not to mention his regular appearances on the Howard Stern Show. Harris has been a prosecutor, attorney general and United States Senator, similar to two other Democrats who ran for the presidency in the 1960’s—God rest their souls.